When many people think of Mexico travel, they picture kicking back in a beach chair with a margarita in hand. The great thing about this country is that beach bumming is only one of several awesome things to do in Mexico. Whether you want that Caribbean getaway, a big city break, an epic outdoor adventure, or just want dive into the fascinating history and culture, there’s something for you in Mexico. On one trip to Mexico, you can enjoy world-class scuba diving, climb atop ancient Mayan ruins, explore colourful colonial towns, and indulge in the cuisine. 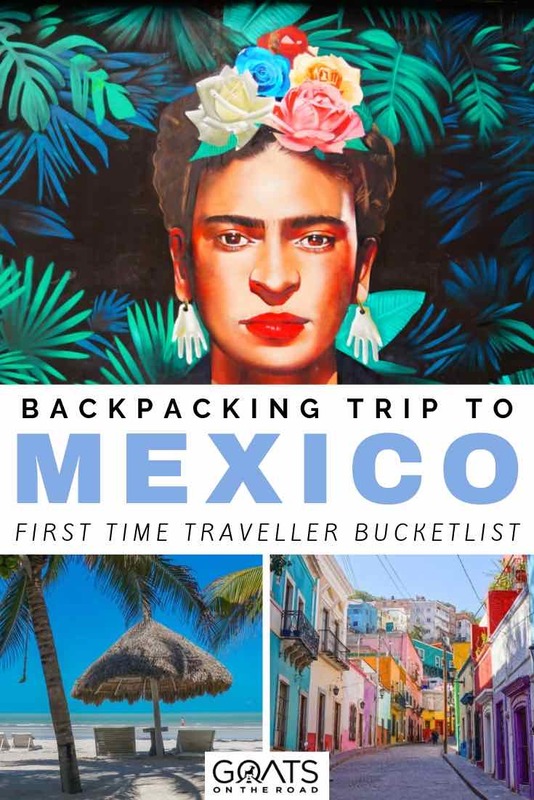 With so much going on and so many amazing places to visit in Mexico, it’s a tough task narrowing it down to a compact list. 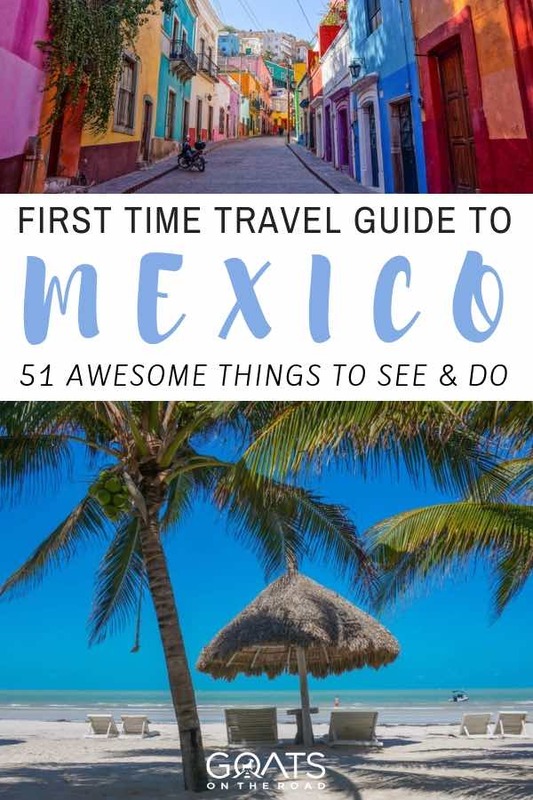 Instead of a standard Top 10, we’re giving you 51 awesome things to do in Mexico! What better place to start this epic list of things to do in Mexico than in the capital city? Mexico City (or CDMX as it’s commonly known) is often overlooked by travellers, which is a horrible mistake. We could honestly fill this entire list by covering the capital alone. There really is that much going on in Mexico City. Did you know that the city is home to more museums than any other city in the world? It’s true! The most popular museum in the city is probably the Frida Kahlo House. If you want to check out the home of one of Mexico’s most famous and beloved artists, it’s a good idea to purchase your ticket online in advance or just join a tour to skip the huge queue. Other highlights include the massive Anthropology Museum and even a museum dedicated to tequila and mezcal. Be sure to carve out at least a few days for museum hopping in Mexico City on your trip. There are endless things to do in Mexico City, you’ll never be bored here. If you only experience one traditional holiday in Mexico, make sure it’s Día de Muertos (Day of the Dead). This festival has a history dating back thousands of years to the Aztecs and is meant to honour the dead. While the subject of death is usually quite mournful in western culture, it’s exactly the opposite in Mexico. Rather, the Day of the Dead is a very festive celebration meant to celebrate loved ones who have passed and the lives they led. Families will visit the cemetery to clean and decorate the graves. Some even spend the night and have a little fiesta right there in the graveyard! As a visitor, your best bet for experiencing Día de Muertos is heading to a place like Mexico City or Oaxaca (it’s one of the best things to do in Oaxaca, you won’t regret it!). Thanks to the James Bond film “Spectre” – which featured a Day of the Dead parade before there ever was such a thing – the capital decided to go ahead and give it a try. It’s now an annual occasion and certainly one of the top things to do in Mexico. 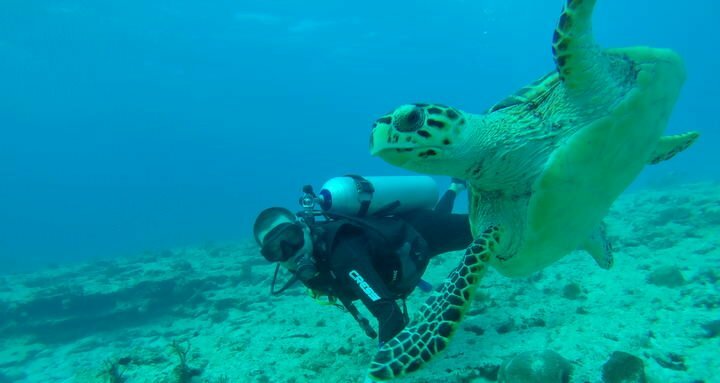 There are numerous things to do in Cozumel to keep you busy, but the island is regarded as one of the best places to go scuba diving in the western hemisphere. With crystal clear waters and an abundance of marine life, the diving here is definitely top-notch. From tiny seahorses to massive eagle rays, there’s a lot to see in the water here. If you’re not yet scuba-certified, this is the perfect place to do it. There are tons of dive shops on the island offering open water courses at very reasonable prices ($375-400). Once you’re ready to go, 2-tank dive trips only cost between $75-90. While there is an airport on Cozumel, most people arrive here via the ferry from Playa del Carmen. Ferries leave basically every hour and only take about 35-40 minutes to reach the island. When it comes to the most famous sights in Mexico, it’s hard to top Chichen Itza. The ancient Mayan city is one of the New 7 Wonders of the World, and it attracts millions of visitors every year. A trip here is absolutely one of the best things to do in Mexico. 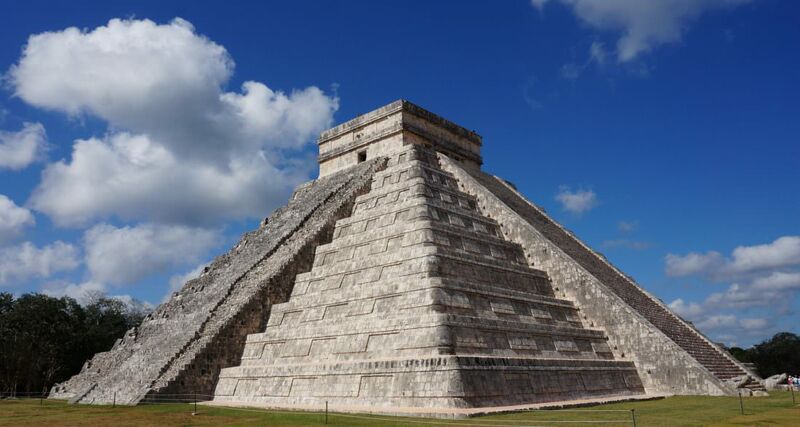 The highlight of Chichen Itza is the Temple of Kukulkan, which is dedicated to a Mayan feathered serpent god. Often referred to as El Castillo (The Castle), it’s an absolutely incredibly sight to behold. Don’t miss the incredible Chichen Itza! Every year on the spring and autumn equinoxes, a shadow is cast on the pyramid that resembles none other than a serpent. How the Mayans managed to figure this out without any modern technology or equipment is simply mind-boggling. There’s lots more to see and discover at Chichen Itza, so it’s best to hire a guide to enhance your experience. Click here to learn more and to book a tour. The most quintessential Mexican dish is without a doubt the taco. There really is a taco truck on every corner here, and that’s an absolutely wonderful thing. If you think of a taco as a flour tortilla full of ground beef, cheese, and lettuce, you may be surprised when you arrive in Mexico. Tacos here are typically made with two small corn tortillas. Popular fillings include carne asada (beef), adobada (marinated park), or chorizo (sausage). On the coast, you’ll also find some amazing fish, shrimp and even marlin tacos. It’s the bacon of the sea, and it’s delicious. If you’re backpacking Mexico on a budget, tacos will most likely be your main food source…and there’s nothing wrong with that! You can diet when you get home, so go ahead and eat all the tacos – it’s one of the best things to do in Mexico. While Chichen Itza may be the most famous among international tourists, there’s another archaeological site in Mexico that receives even more visitors. The ancient city of Teotihuacan welcomed over 4 million visitors last year, making it the most popular archaeological site in the country. Once upon a time, Teotihuacan was the largest city in the Americas. It’s believed that up to 125,000 people may have called the city home. Today, it’s a UNESCO World Heritage Site and one of the best day trips out of Mexico City. Climb atop the Pyramid of the Sun to take in the views and imagine what it was like during its heyday. Click on the images below to learn more about the tours to Teotihuacan! A cenote is a natural sinkhole that results from the collapse of a cave ceiling. There are literally thousands of them in the country – mostly in the Yucatan – and a refreshing swim in one is for sure one of the top things to do in Mexico. Once upon a time, the Mayans used cenotes for sacrificial offerings. These days, you’re more likely to find tourists cooling off from the intense mid-day heat and enjoying a bit of cliff jumping. If you’re looking for the best things to do in Cancun, Playa del Carmen, or Tulum, there are several cenotes that are easily visited on a day-trip. 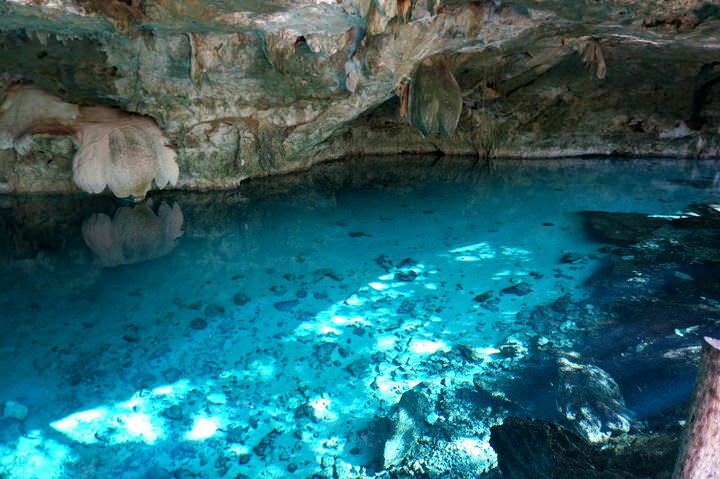 It’s also possible to go snorkeling and even scuba diving in a cenote. It’s a far different experience from diving in the ocean and one of those unique activities that you should partake in when visiting Mexico. As Mexico’s 2nd largest city, Guadalajara always lives in the shadow of the capital. This Mexican metropolis has a lot going for it though and there are numerous fun things to do in Guadalajara. One of the best things about GDL is definitely the city’s great nightlife. A popular choice for a night out on the town in Guadalajara is Avenida Chapultepec. There are tons of restaurants, bars, and clubs to choose from here. On the weekends, the place is bustling with activity as vendors set up a night market. Eat, drink, shop, and dance your way up and down the street to make for an unforgettable night. 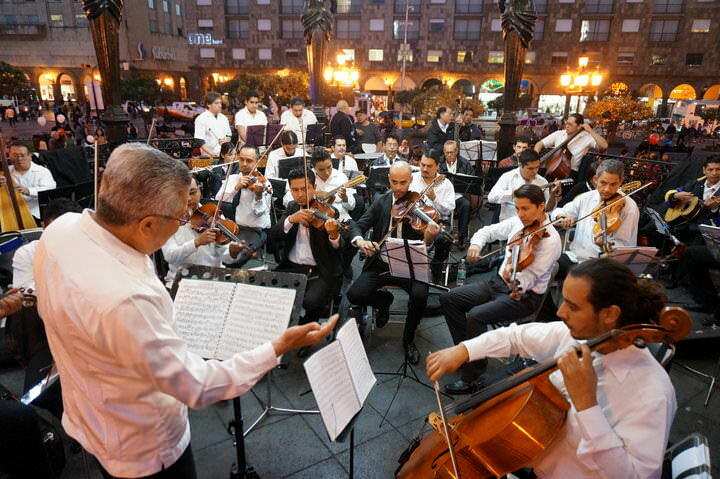 A symphony playing in one of the plazas in Guadalajara, incredible music! Whether you like wrestling or not, a night of lucha libre should be high atop your list of things to do in Mexico. Not only is it an important part of Mexican culture, but the high-flying, masked luchadores put on one hell of a show. The best place to catch an evening of lucha libre is definitely Arena Mexico in the capital. Matches take place on Tuesday and Friday nights, as well as on Sunday afternoons. For the most raucous atmosphere possible, try to be in the area for the Friday night matches – this is one of the top things to do in Mexico on a Friday. Learn more about the sport and how you can see the matches in CDMX and Guadalajara in our comprehensive guide to lucha libre in Mexico. Click here to book a tour to a night of Lucha Libre, including tequila, ring side seating, a lucha libre mask, transportation and guide! Many coastal cities in Mexico have a malecon, which is an esplanade along the waterfront. Perhaps the most famous and most beautiful malecon in all of Mexico can be found in Puerto Vallarta. A stroll along the malecon is usually the first order of business for visitors to PV, and for good reason. In addition to feeling the ocean breeze and seeing palm trees sway, you can also enjoy what’s basically an open-air museum. 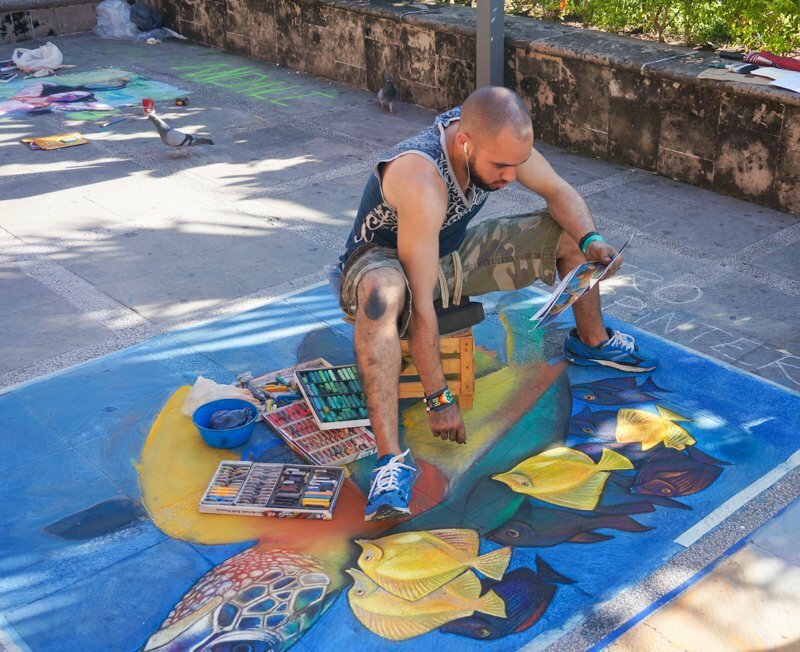 Walking along the malecon, you’ll spot dozens of sculptures from notable artists. You may also catch the Danza de Los Voladores (Dance of the Flyers), an ancient Mexican ceremony where men climb a 10-story pole and then spin all the way down. On the weekends, you’ll usually find some sort of live music or cultural performance going on in the small amphitheatre here. On Sunday nights in particular, locals gather in the square just across the street to dance and sample various street food. A stroll along the malecon is one of the top things to do in Puerto Vallarta for sure. When it comes to music in Mexico, mariachi is king. Mariachi music is believed to have originated in the state of Jalisco and has a history dating back to the 18th century. It was heavily promoted after the Mexican Revolution to help the country establish some sort of national identity. If you’re looking for traditional things to do in Mexico, one of the best places to listen to mariachi music is Plaza Garibaldi in Mexico City. Bands roam the square in their traditional outfits and can be hired for an on-the-spot serenade. If you really want to dive into this famous style of Mexican music, consider checking out the International Mariachi Festival that takes places in Guadalajara every year. If you’re looking to improve your español, there are few better countries to do so than Mexico. For starters, Mexico has the biggest population of any Spanish-speaking nation, meaning you’ll have 128 million people to practice with. It’s also easy to find high-quality, affordable Spanish lessons in Mexico. Whether you want to stay in the big city, a colonial town, or right near the beach, you can find a reputable Spanish school to sign up with. I personally enjoyed taking classes at Spanish School Vallarta and then hitting the beach after class. Other popular places include San Pancho, San Miguel de Allende and Playa del Carmen. Surfers have been drawn to Mexico for decades in search of the perfect break. The Pacific coast of Mexico stretches for over 7,000 kilometers and is full of excellent surfing spots for all levels. This is one of the things to do in Mexico if you’re feeling active. Whether it’s your first day on a board or you’re a pro, there’s a wave for you in Mexico. While northern Baja California is constantly full of day-trippers from north of the border, there are plenty of lesser-known surfing hot spots along the coast. 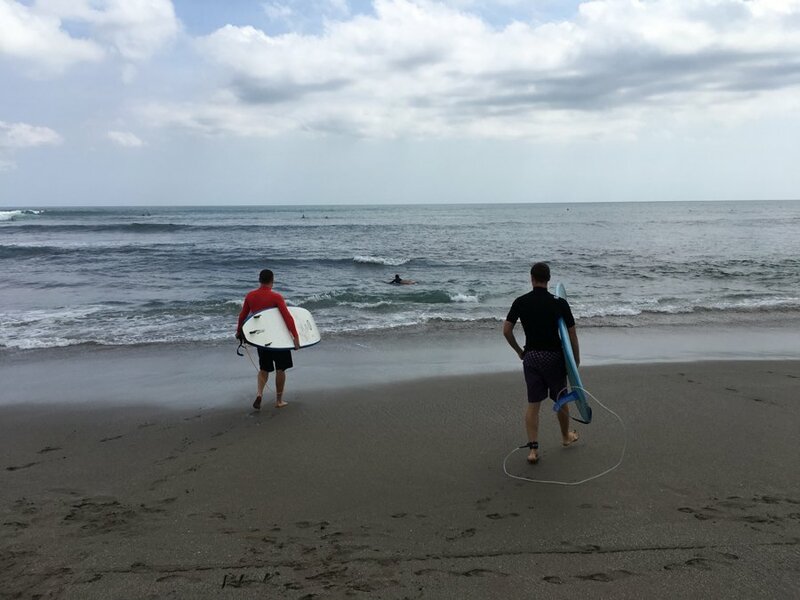 A great spot for beginners and intermediate surfers is Sayulita, which is just up the coast from Puerto Vallarta. More advanced surfers may want to head further south to Puerto Escondido for more challenging breaks. All across Mexico, you can find beautiful colonial towns. 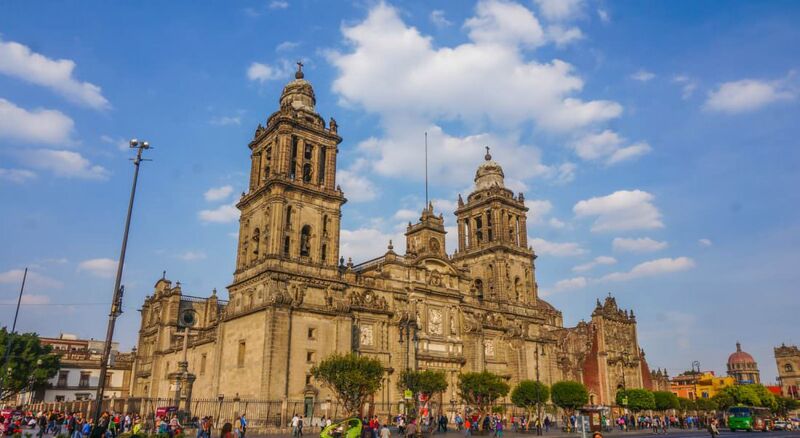 With cobblestone streets, pastel-colored houses, and peaceful tree-lined squares surrounding cathedrals, exploring at least one of these towns is a must when visiting Mexico. 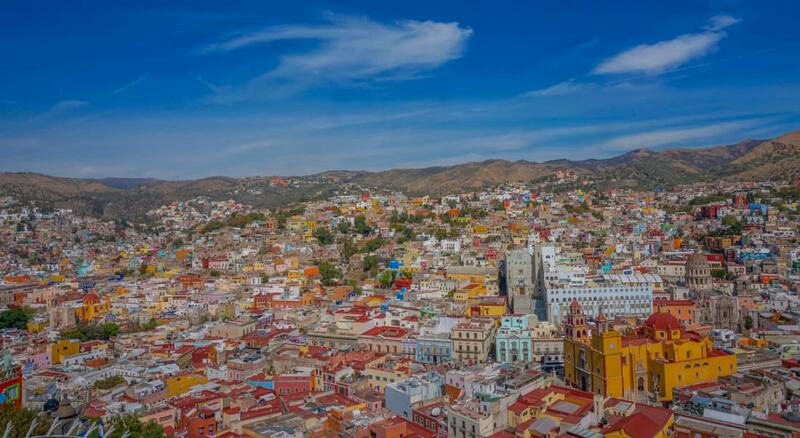 Just a few hours by bus from Mexico City, you can find the gorgeous towns of San Miguel de Allende and Guanajuato. Both are very popular with tourists, expats, and retirees alike. Pay either one a visit and you may like it so much that you decide to move there further down the road. Other great options include San Cristobal de las Casas in the state of Chiapas, or Valladolid in the Yucatan. The former makes a great last stop in Mexico if you’re headed overland to Guatemala, while the latter is very easily visited from Cancun. Rio and New Orleans may have the most famous Carnaval bashes, but Mexico knows how to throw down as well. The biggest Carnaval celebrations in Mexico take place in two coastal cities – Mazatlan on the Pacific and Veracruz in the Gulf of Mexico. Mazatlan has been celebrating Carnaval since 1898, making it the oldest in all of Mexico. There are several concerts, parades, and even a coronation of a king and queen of Carnaval. It’s a very festive atmosphere and a ton of fun to be a part of. One of the best and most rewarding things to do in Mexico is experience a baby sea turtle release. Like clockwork, sea turtles return to the beach that they hatched on to lay their own eggs and begin the cycle all over again. Turtle season lasts between May and November, but the best time to witness the baby turtles hatching is from late August to early October. 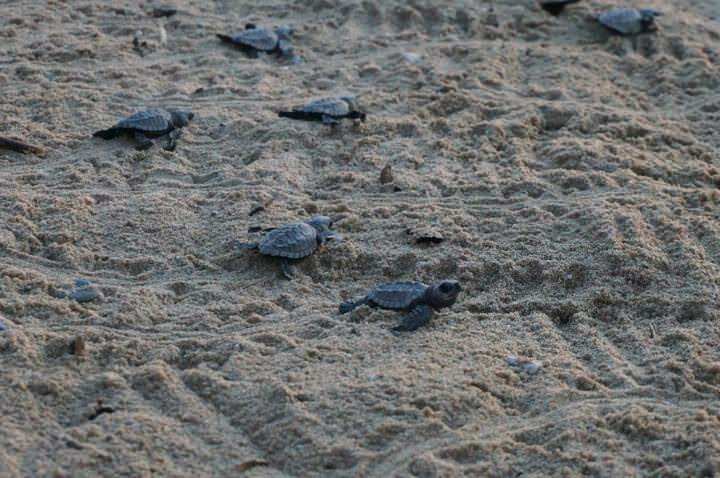 If you’re lucky, you’ll even be able to assist in the turtle liberation by helping the baby turtles get back to the sea safe from predators. There are many places to take part in this magical activity, including Puerto Vallarta, Manzanillo, San Pancho, Isla Mujeres, and Akumal. In Cancun, many of the bigger hotels also participate and have their own program that you can join. Did you know that there’s actually a town called Tequila in Mexico? Well there is, and it’s where the country’s most famous beverage comes from. Tequila is actually a type of mezcal, which is a distilled alcoholic beverage made from agave. While mezcal can be made from 30 different types of agave, tequila is only made from blue agave. The best way I can describe the difference is that mezcal has a much smokier flavor. That’s because it’s cooked inside earthen pits that are filled with wood and charcoal before being distilled. Both are incredibly popular in Mexico, and sampling them is one of the top things to do in Mexico. Forget about doing shots of tequila with salt and lime, though. That’s for the kids on Spring Break. The real way to drink it is neat, casually sipping it to enjoy the flavor. Of course, you can always just order a margarita as well! 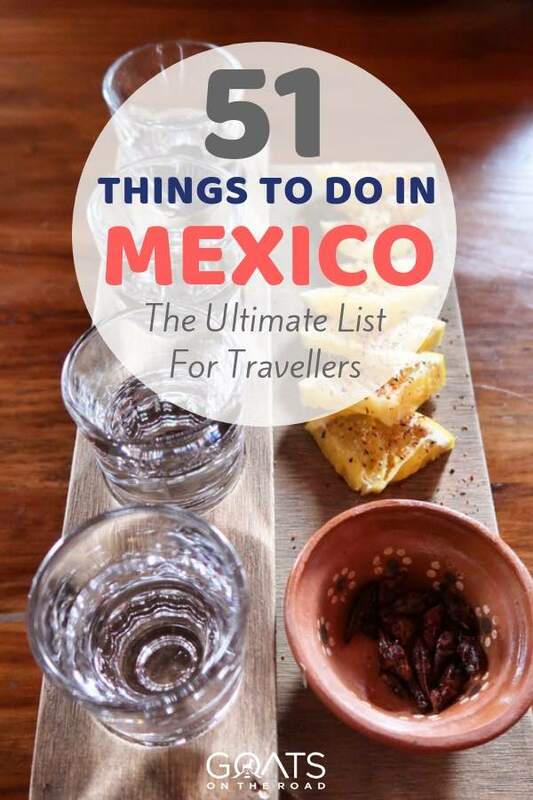 Of all the things to do in Mexico, sampling some tequila and mezcal is a must. Why just drink tequila when you can take a tequila train? The Tequila Express train runs from the city of Guadalajara to the Herradura distillery, one of the most famous brands of tequila in all of Mexico. Aboard the Tequila Express, you’ll listen to live mariachi and sample some of the product, of course. 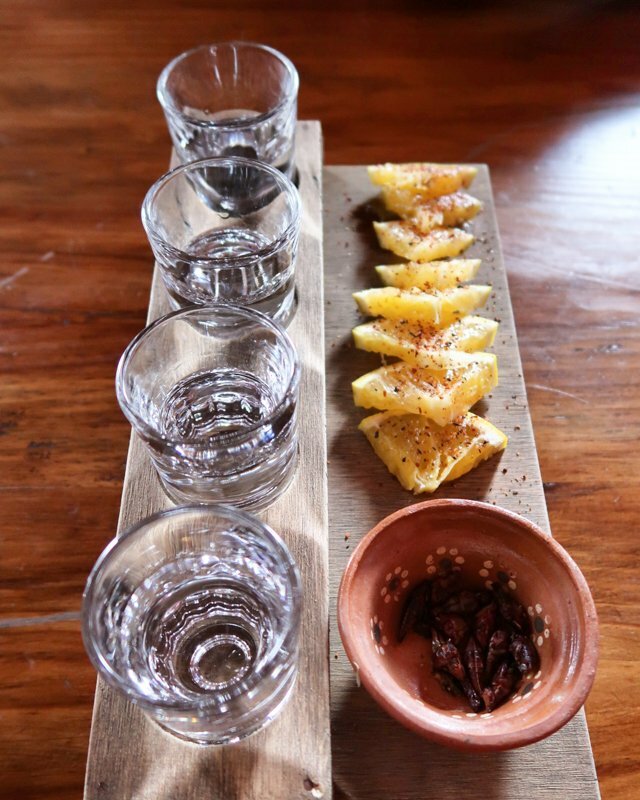 You then visit the blue agave fields of the hacienda and take a tour of the distillery, with even more tastings. This just might be the coolest train ride on the planet! The train usually only operates on the weekends, so be sure to plan in advance if you want to take it. If you’re an art lover, then you’re probably familiar with Diego Rivera and Frida Kahlo. If not, let me introduce you to them. They are probably the most legendary Mexican artists ever, and they were actually a married couple for many years. Their art and likenesses seem to be everywhere you look in Mexico even though they both died in the 50’s. The best place to admire the art of Diego and Frida is in Mexico City. Here you’ll find some of Rivera’s most famous murals in the National Palace and Museum of Fine Arts, including the controversial Man at the Crossroads. Be sure to look up the story on that painting, as it’s incredibly interesting. Of course, you’ll also want to visit the Frida Kahlo Museum, which is commonly referred to as La Casa Azul (the Blue House). Amazingly, the famous artist was born and died in this very house. The museum is an excellent tribute to her and her life’s work. Just be prepared to deal with crowds, as it’s one of the most popular things to do in Mexico City. While Kahlo and Rivera definitely made some timeless art, there are plenty of modern artists in Mexico putting out compelling work as well. You don’t have to go into a museum to see it, either, as the street art scene has absolutely exploded in Mexico lately. You can find excellent street art all over Mexico, especially in the big cities. Wander around the central part of Mexico City known as the Zocalo, and you’ll find impressive murals around every corner. If you’d prefer some company, there are also some great tours you can join to learn more about the art and the people who created it. 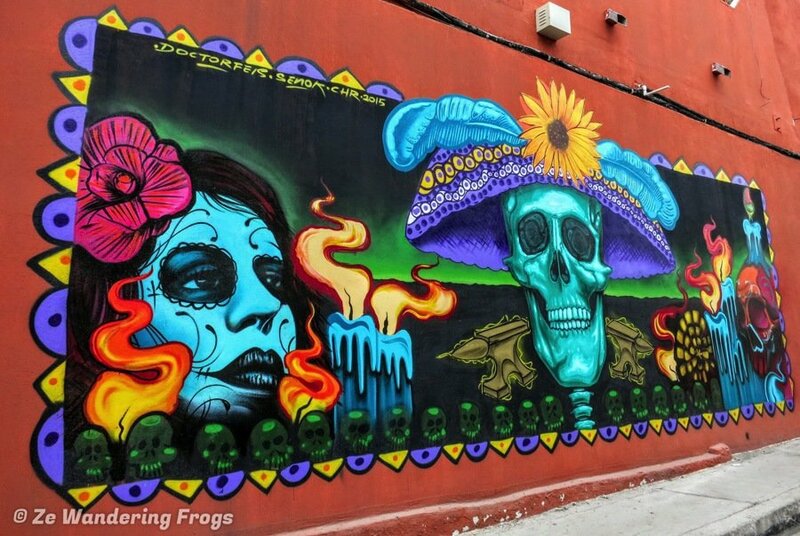 If you’re interested in learning more, check out our detailed post about street art in Mexico, which is packed full of awesome pictures. There’s a lot more to eat in Mexico than just tacos. 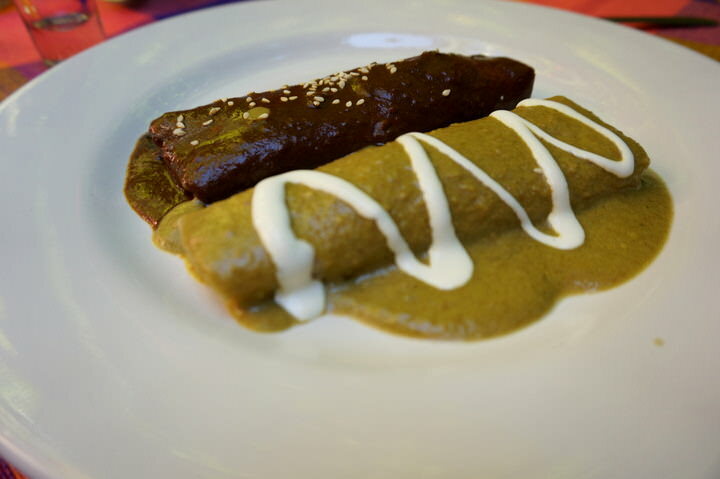 One of the most common ingredients you’ll find all across Mexico is a sauce called mole. There are many different recipes, but it generally contains fruit, chilli peppers, nuts, spices like cinnamon or cumin, and chocolate. While there are many varieties of mole, the most ubiquitous is mole poblano. The sauce contains over 20 ingredients and is dark thanks to the chocolate and mulato peppers. It’s traditionally served on turkey but is also commonly used with chicken and pork. Both Pueblo and Oaxaca claim to be the originators of mole. Regardless of who made it first, they both make it very well. Be sure to dig in and give some mole dishes a try when you travel to Mexico, it’s definitely one of the best things to do in Oaxaca. Try the mole when you’re in Mexico! Next to the Vatican, the Basilica of Our Lady of Guadalupe is one of the most important pilgrimage sites for Catholics. Several million people visit the church just north of Mexico City every year. If you’re visiting CDMX, be sure to take at least half a day to explore the large grounds and the many sights. There’s actually both a new and an old basilica here. When the old one started sinking, it was deemed unsafe and was closed. A more modern version was built right next door and is now where they hold services. The old one was reopened, so you can still go inside to check it out. If you really want to take part in a unique cultural experience, come here around December 12th. This is the Feast Day of Our Lady of Guadalupe and is the busiest time of the year. There are several different cultural festivals in Mexico throughout the years. One of the best ones is definitely Guelaguetza in the city of Oaxaca. This area is home to many indigenous groups, and they all flock to the city for a few weeks every July for a massive dance festival. It’s a big celebration of the diversity of Oaxaca and all the unique traditions of the area. This is definitely one of the things to do in Mexico you don’t want to miss. The main event of the festival takes place on the last two Mondays of July in an auditorium on Fortin Hill. You’ll need to purchase tickets to attend the event, and they tend to sell out far in advance. If you don’t score tickets, there’s still plenty to do here, including a mezcal festival and many handicrafts markets. A temazcal is a traditional sweat lodge that dates back to pre-Hispanic indigenous groups in the Americas. Rather than just sit and sweat, you’re led on a spiritual journey by a shaman. It’s certainly one of the most unique things to do in Mexico. The 2-hour ceremony is meant to cleanse mind, body, and spirit. In Mexican culture, it’s been used to heal the sick, purify the body after exertion, and even to help women with child-birth. Sweating it out in a temazcal is becoming more and more popular, and is actually one of the top things to do in Cozumel, Cancun and other touristy areas. In an effort to encourage tourism to other parts of the country, the Secretariat of Tourism in Mexico designated certain towns as Pueblos Mágicos (Magic Towns). These towns offer visitors a magical experience through their natural beauty and traditional culture. Wherever you end up in Mexico, you’re probably not too far away from one of these magic towns. So far, the program has been incredibly successful. What started out as a list of 32 has grown to 111, reaching all corners of the massive nation. It has encouraged tourism to these towns and allowed local people to improve their standard of living thanks to the new opportunities. One of the most popular towns is San Cristóbal de las Casas, which is located in the southern state of Chiapas. It’s a beautiful town to explore and there are also several great excursions in the area, including waterfalls, hiking trails, and some really nice botanical gardens. Another great choice is San Sebastián del Oeste, which is easily visited on a day-trip from Puerto Vallarta. Eating street food in a foreign country can be intimidating. First of all, you might not be able to understand the menu. Secondly, many travellers worry about hygiene and getting sick. Rather than skip out on street food entirely, you can join a tour and actually learn something as you stuff your face! Street food tours are becoming more and more popular all across Mexico, especially in major tourist areas. 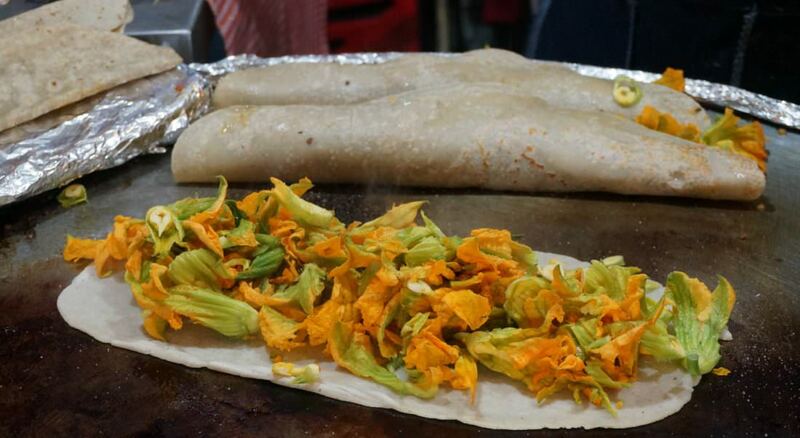 With a local guide, you’ll go around to a few different spots to sample Mexican street food. In addition to the mouth-watering food, you’ll get to learn about the dishes and the people cooking them. It’s certainly one of the tastiest things to do in Mexico! 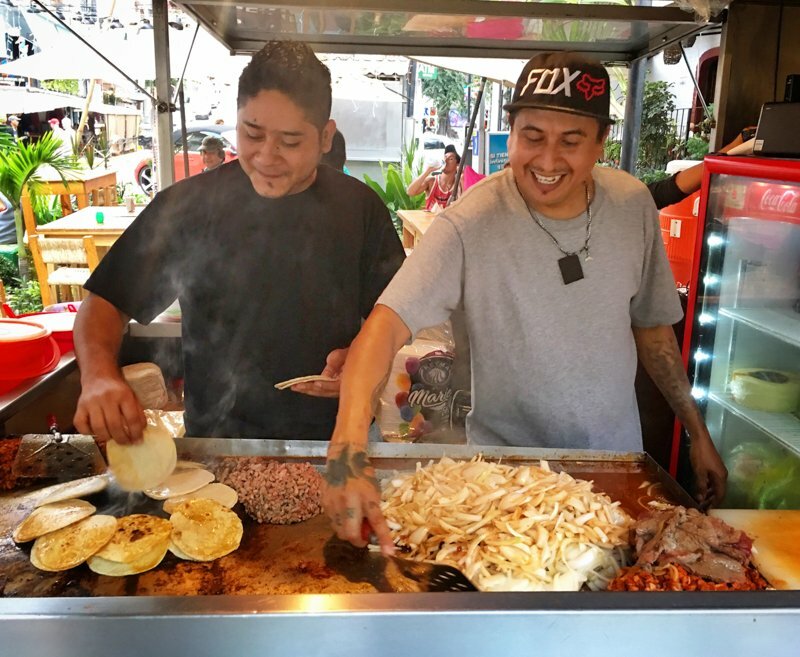 You’ll find excellent street food tours in Puerto Vallarta, Guanajuato and Mexico City to name a few. By far one of the most scenic trips you can take in Mexico is the train ride through Copper Canyon. Known as Barrancas del Cobre in Spanish, this group of six canyons is located in northwest Mexico in the state of Chihuahua. While the Grand Canyon may be located north of the border, this one is actually deeper and bigger. The best way to explore this natural wonder is on the train known as El Chepe. This epic railroad goes over 37 bridges and through 86 tunnels on its long journey, stopping in many scenic towns. Along the way, you can enjoy hiking, biking, horseback riding, and more. There are lots of options for tours of Copper Canyon, and you can even take the train all the way to the coast. Free walking tours have really taken off in the past few years. Just about every major city around the world seems to be offering them now. 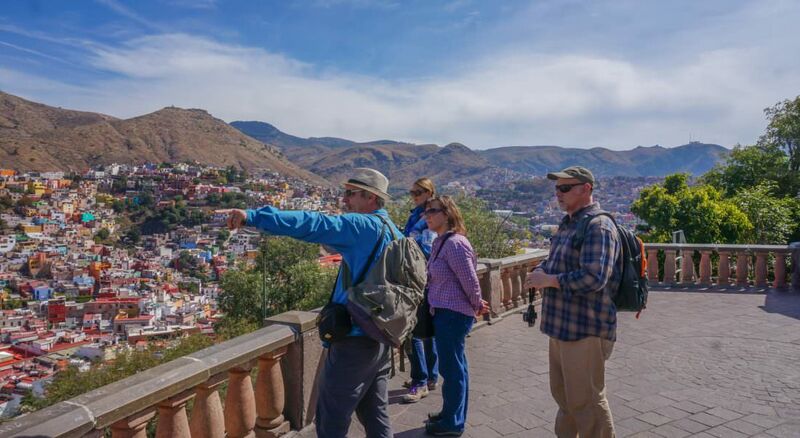 In Mexico, these free walking tours are also popping up in smaller towns that are popular with tourists, such as Guanajuato and San Miguel de Allende. I personally find the free walking tours to be the best way to get an introduction to a place. You’ll walk around for a few hours with a knowledgeable local guide and get an insight to the history and culture of the place. Chances are you’ll make some new friends along the way as well. When doing the free walking tours, just remember that these companies and their guides depend on your generous tips for their livelihood. If you enjoy your tour, a standard tip is about $10 per person. There are few experiences more authentically Mexican than walking through a swinging door, pulling up a stool, and grabbing a cervesa in a cantina. Men usually gather here to throw back some beers, have a snack, and play games like dominoes. They’re unpretentious, cheap, and a great opportunity to chat with locals. While these local watering holes have traditionally been male-only establishments, things are changing slowly and it’s possible to find some cantinas where it’s perfectly fine for women to enter. When in doubt, it’s best to ask someone before going in. 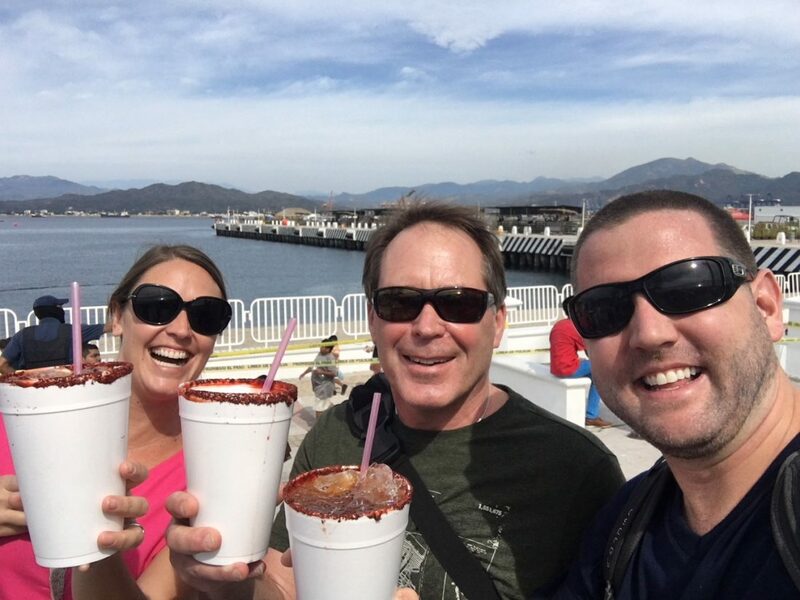 Speaking of drinking in Mexico, one drink you absolutely have to try is a michelada. It’s basically a Bloody Mary but with beer instead of vodka, and it’s absolutely delicious. There are many ways to make a michelada, but the key ingredients are beer, lime juice, salt, and some spices. Many places also add Clamato, which is a tomato-clam juice mix. It sounds gross, but it’s actually pretty good! An ice-cold michelada is the perfect drink on a hot day in Mexico. It also helps with that hangover if you had a rowdy night. Live music aficionados will be thrilled to learn that you can go to music festivals on the beach in Mexico. All-inclusive resorts in the Riviera Maya started hosting these kinds of events a few years ago, and these days it seems like there’s one every weekend from December to March. What better way to escape winter than rocking out on a beach with unlimited drinks? Most of these festivals last four days and come as a packaged deal with accommodation, food/drink, and the entertainment. The music ranges from jambands at Mayan Holidaze, to bluegrass at Strings & Sol, to country at Crash My Playa. My favorite band in the world, Phish, is even doing their own Riviera Maya festival now! Football is basically a religion in Latin America. It’s definitely the most popular sport in Mexico, and it’s also a huge part of the culture. Going to a football game in person is tons of fun and something you should definitely try to do if you have the chance. The top-level of Mexican football is Liga MX. Many believe Liga MX to be the strongest football league in all of North America, and one of the best in Latin America at large. The games usually draw a pretty big crowd, making for a very exciting atmosphere. There are currently 18 clubs playing in Liga MX, so it’s not hard to find yourself in a city where there’s a game going on. Some of the best teams to check out are Club America in Mexico City or Chivas in Guadalajara. Join the passionate fans and cheer on the local team in a sporting event you’ll never forget. There are plenty of amazing beaches in Mexico, but if you really want to get away from it all you should head for one of the country’s idyllic islands. A few days of white sandy beaches, turquoise waters, and tropical fruity cocktails are just what you need to recharge. The easiest options for a Mexican island vacation are Isla Mujeres and Cozumel. Both are accessible via short ferry rides from the tourist hubs of Cancun and Playa del Carmen. While you can easily visit on a day trip, you’re much better off spending a few days there to really enjoy it. 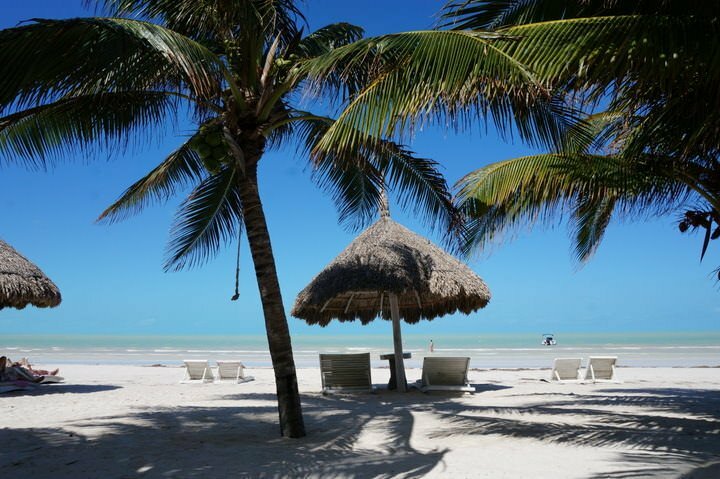 If you’re willing to put in a little more work, a visit to Isla Holbox is one of the top things to do in Mexico. It’s definitely worth the effort to get here. First, you’ll need to arrive in the town of Chiquilá and then take a ferry. This chilled-out island is devoid of cars and full of marine life such as sea turtles and whale sharks, making for a pretty awesome vacation destination. Obviously, eating a bunch of delicious Mexican food is one of the top things to do in Mexico, but why not learn how to make it yourself while you’re there? Taking a cooking class is a great way to learn even more about Mexico’s world-famous cuisine. Plus it’s always more satisfying eating something yummy when you cooked it! 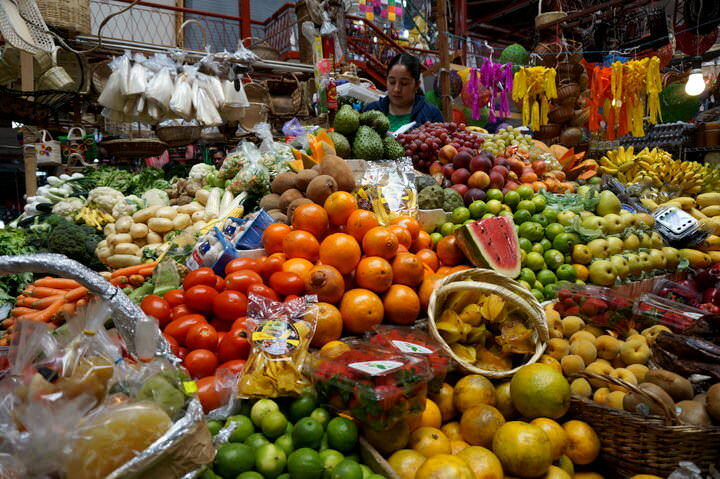 Many cooking classes even include a visit to a local mercado (market) so you can pick out the freshest ingredients before getting to work in the kitchen. You’ll also be able to take the recipe home so you can impress your friends by throwing a Mexican dinner party. There’s no doubt that Chichen Itza is the undisputed king of Mayan ruins, but there are several other ancient cities that are well worth exploring. Many of them are located in the Yucatan peninsula and are easily visited on a day-trip from the major tourist centres. Among the many Mayan ruins in the area, Tulum is by far the most popular. Perched on a seaside cliff, the scenery here is absolutely breathtaking. To beat the crowds, it’s best to stay a night in town and reach the ruins before they even open. That way, you’ll be finished up just as the massive tour buses are pulling in. 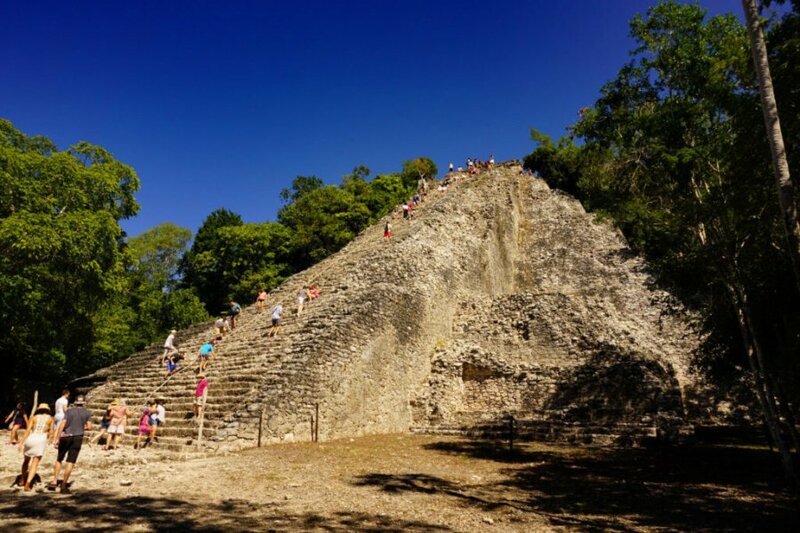 If you want to escape the crowds entirely, head to the ruins at Ek Balam, Coba or Palenque. It’s still possible to climb the main temple at Ek Balam, where you can enjoy some epic views of the surrounding jungle. Seeing the ruins is one of the best things to do in Mexico during your holiday. Try to see at least 1, if not more. We’ve already talked about diving into the street food scene in Mexico, so now it’s time to class it up a bit. Mexico City has been making headlines as two of its restaurants recently made the Elite 100 Restaurants list. 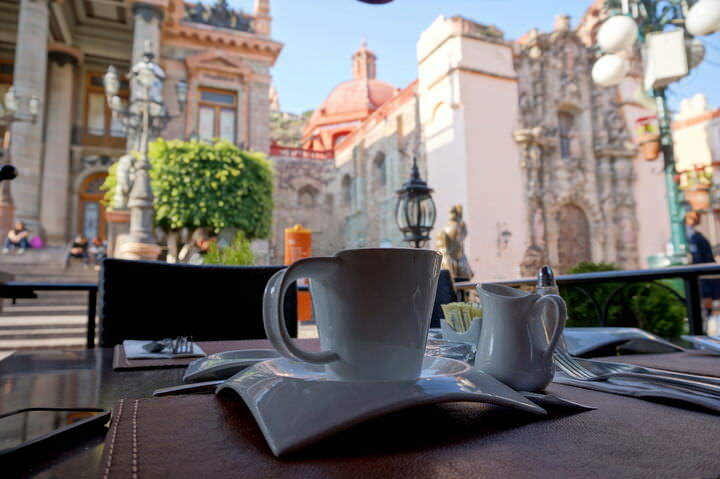 Fine dining in the capital also deserves a spot on the list of the best things to do in Mexico. The star of the culinary scene in CDMX is definitely Pujol. Chef Enrique Olvera’s restaurant is famous for its innovative menu that is constantly changing. Your taste buds are in for a treat when you sit down to sample a 6-course tasting menu here. Just be sure to book a table well in advance, as the secret is out on this place. Most visitors to Puerto Vallarta are perfectly content to just sit on the beach and relax. But if you’re looking for adventurous things to do in Mexico, why not go skydiving and check out the beach from above? Adrenaline junkies will love skydiving in Puerto Vallarta. You’ll jump at 4,000 meters, enjoy a fantastic panorama of the city, and then gracefully land on the beach. Go ahead and grab a margarita after that one – you’ve earned it! With over 160 courses, Mexico is a premier golfing destination. The variety in the courses here is amazing, as you can golf on the oceanfront, out in the desert, or surrounded by lush jungle scenery. Some of the best spots to play golf in Mexico include Los Cabos, Puerto Vallarta, and the Riviera Maya. You’ll find some seriously impressive golf courses in these areas, designed by the likes of Jack Nicklaus, Greg Norman, and Tiger Woods. Surprisingly, there’s an awesome golf course in the small town of San Pancho. Playing a round here is one of the top things to do in San Pancho! One of the most overlooked places in Mexico is the country’s 3rd largest city – Monterrey. While it’s historically known as a commercial and industrial centre, Monterrey also has many cultural sights and a thriving eco-tourism scene. The city is surrounded by mountains, the most famous of which is known as Cerro de la Silla. You can hike to the top to take in the views of the city and also enjoy mountain biking, rock climbing, and more in the surrounding mountains. Downtown Monterrey has experienced quite the renaissance in recent years thanks in large part to its impressive Macroplaza. On a walk through here, you can check out fountains, gardens, and several monuments. After visiting the Museum of Mexican History, hop in a gondola for a cruise up the river to the large Fundidora Park. If you’ve been thinking about giving the digital nomad lifestyle a go, few places are better to start than Mexico. First of all, this is one of the best visa free countries for citizens from 65 different nations. You can visit Mexico visa-free for up to 180 days. That gives you plenty of time to get settled into a routine and explore on days off without having to worry about pesky visa runs. There are several well-established digital nomad hubs, including Playa del Carmen, Puerto Vallarta and Mexico City, where it’s easy to get started out on the path of remote work. Co-working spaces are easy to find and are quite affordable, and there are excellent cafes all over the place. When visiting the beach town of Playa del Carmen, you have the chance to dine in an illuminated cave. An evening at Alux Restaurant is definitely one of the most unique culinary experiences on offer in the area. The name comes from a mythical elf-like creature that’s said to inhabit caves. While you may not find any elves in the cave, you will find an impressive cocktail list and a great menu of contemporary Mexican cuisine. A dinner out here is one of the things to do in Playa del Carmen that you don’t want to miss. 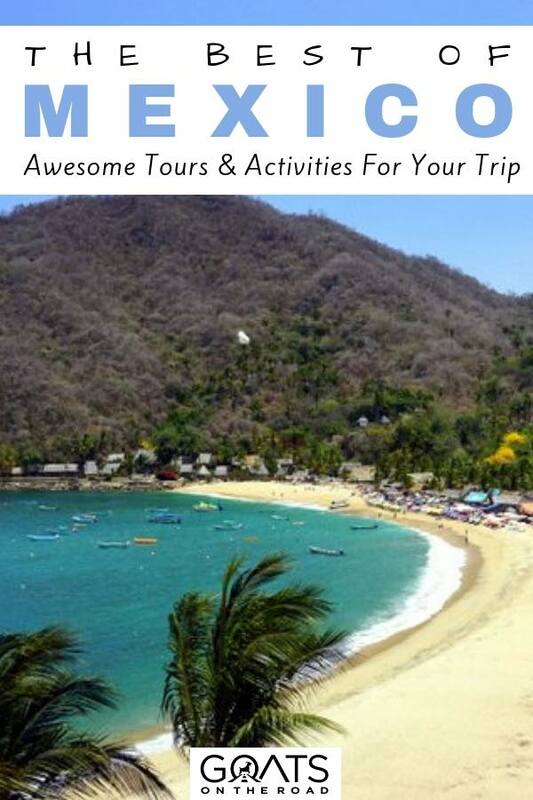 One of the most popular activities from Puerto Vallarta is taking a trip over to Yelapa. This small fishing village in the bay isn’t an island, but it sure feels like one. Thanks to the nearly impassable mountains, you’ll have to arrive here by boat. This tranquil and scenic town is often called Mexico’s last authentic beach town, and for good reason. You’ll find no high-rises or chain stores here, just a dozen or so locally run hotels, restaurants, and bars. It’s nice being in a place where there’s not an OXXO or Starbucks on every corner. 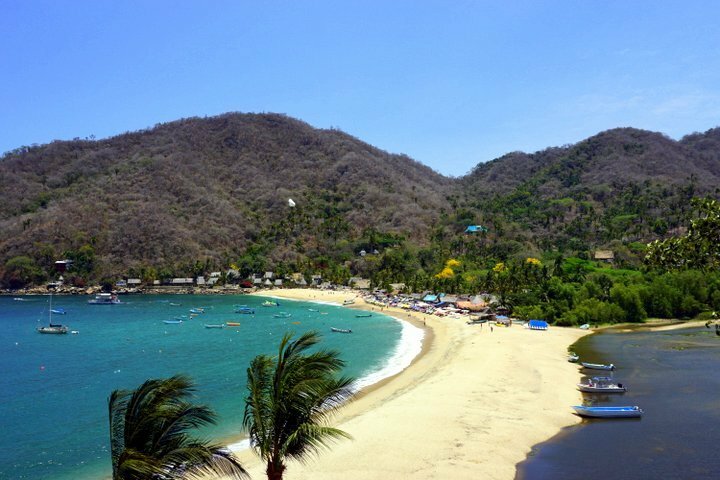 Many people choose to visit Yelapa on a day-trip from PV, but it’s the kind of place that you really need to stay a few nights to appreciate. If you only come for the day, you’ll spend most of your time on the boat and only get a couple of hours in Yelapa. Instead, book a room and chill out for a while in the remote paradise that was once a favourite of Bob Dylan. Located just south of Playa del Carmen, Xcaret is a massive eco-archaeological park with tons of fun activities on offer. The goal of the park is to conserve and share Mexican culture with visitors. This is one of the better things to do in Mexico with families. There’s so much to see and do here that you’ll want to dedicate an entire day to visiting Xcaret. Some of the highlights include an underground river tour, a Mexican wine cellar, and a replica Mayan village. Every night, there are impressive cultural performances such as a re-enactment of the famous Mayan ball game. Just about every tour operator in Cancun, Playa, and Tulum can help plan a trip to Xcaret, or you can just drive or cab it there yourself. There are also a few hotels on site if you’d rather spend a few days there. Click here to book a day trip to Xcaret Park. Once upon a time, Tulum was an off the beaten path destination in the Riviera Maya. Those days are long gone, as the once quiet town has transformed into one of the trendiest destinations in all of Mexico. While many bemoan the growth of Tulum as a tourist hotspot, you still have plenty to be excited about if you decide to visit. 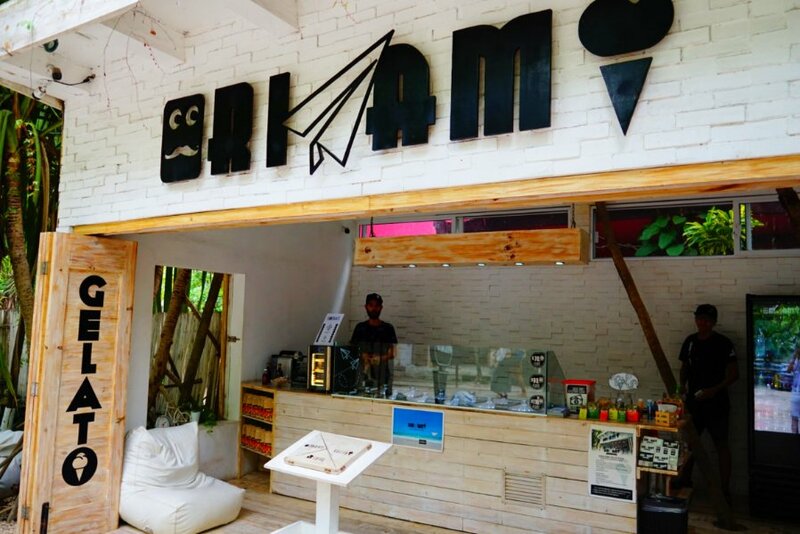 There are numerous awesome things to do in Tulum to keep you busy. The ruins here are absolutely stunning, there are plenty of cenotes around to cool off in, and the town now has a wide variety of excellent hotels, restaurants, and nightlife venues. If you’re looking for a base in the Riviera Maya that’s less Disney-fied than Cancun but still full of amenities, Tulum is a great choice. From here you can easily take off on day trips to visit Chichen Itza, Cozumel, the Xcaret nature park, and plenty more. One of the most unique places you can visit in Mexico City is the Sonora Market. While most of this massive market looks like any other mercado in Mexico, there’s one area that sets it apart. Here you can shop for medicinal herbs and items related to magic and the occult. A stroll through this “witch market” is a pretty surreal experience. You’ll see statues dedicated to the Saint of Death, a variety of potions and herbs, voodoo dolls, dried rattlesnake, and plenty of other eyebrow-raising items. Most popular of all are the love potions, which have some pretty awesome names. One of them is seriously called Rompe Colchón (Break the Mattress). If you’d like to take a glimpse into the crystal ball, you can take part in tarot card readings or a little oujia board session. 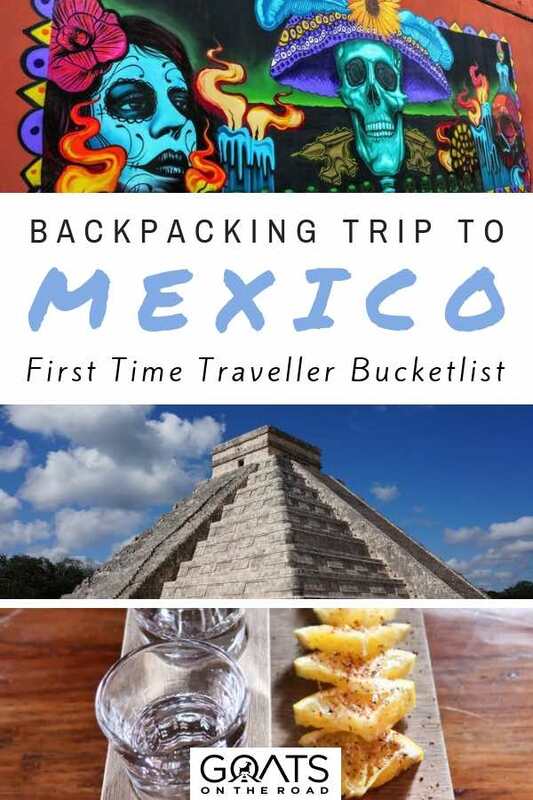 Definitely one of the most unique things to do in Mexico – now that will make for a great travel tale when you get back home! 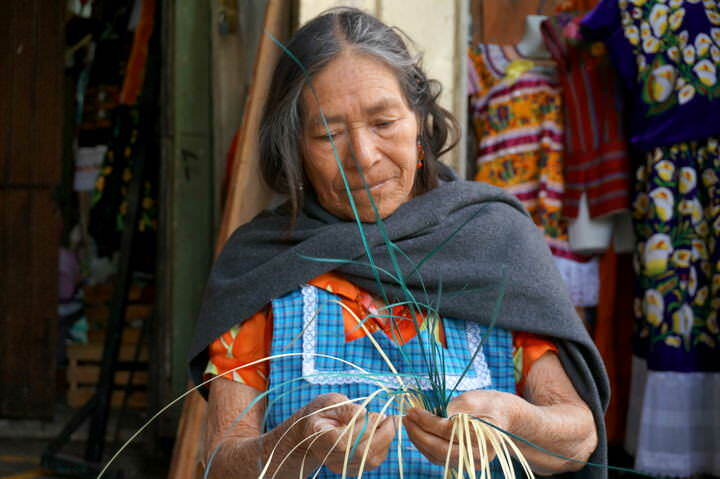 The best souvenir you can bring home from Mexico is some traditional folk art and handicrafts. These are a big part of Mexican culture and are valued as part of the country’s national identity. Many people come to Mexico specifically to shop for folk art and handicrafts right at the source. One of the best places to shop is the state of Oaxaca. Here you can find textiles, rugs, pottery, and the brightly coloured alebrijies – fantastical, mythical creatures. If you’re visiting Jalisco or Nyarit, be sure to pick up some Huichol beaded products. These take hours upon hours to create and are incredibly eye-catching. Right in the heart of Mexico City is the only actual castle in all of North America. The grandiose Chapultepec Castle was once home to the Emperor Maximilian I. It’s also been a military academy, observatory, and presidential residence. These days it’s home to the National Museum of History and one of the most popular sights in CDMX. The castle is a beautiful place to visit, as it’s full of artifacts, murals, and recreations of the rooms as they were during the Mexican Empire. There’s also a lovely garden and sweeping views of the city off to the side. You may have to queue up for a while to get in here, but it’s well worth it. Better yet, get yourself a skip the line pass! 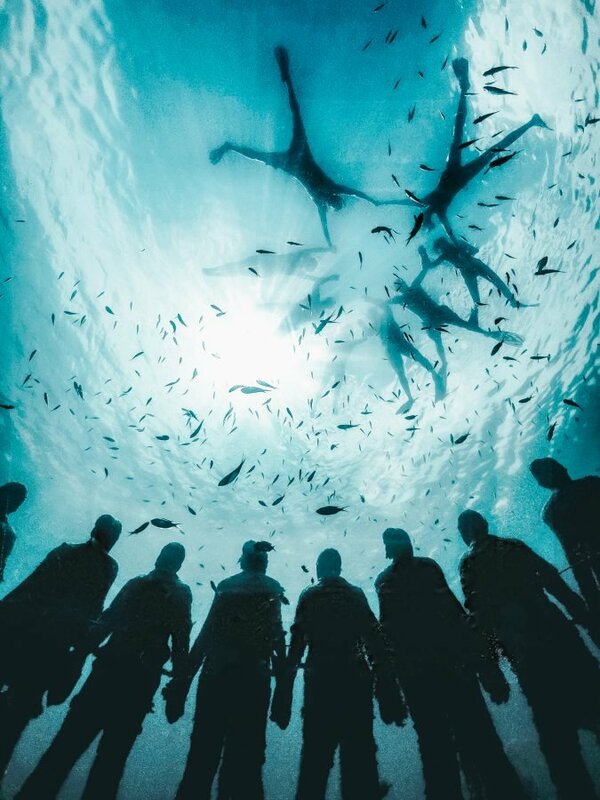 Without a doubt, one of the coolest things to do in Mexico is pay a visit to the Cancun Underwater Museum. Started in 2009 to promote coral life and save the reefs, it is now home to over 500 sculptures submerged in the Cancun National Marine Park. The idea behind the project is to give scuba divers an alternative to other nearby reefs, which were in serious danger. The statues were made with special materials that encourage coral growth and were then fixed to the seabed. With time, the statues become artificial reefs that in turn are used by marine life to colonize. So far, the project has been a huge success. Around 100,000 visitors come each year to see the submerged art and plans are for the museum to continue to grow. You have several options for visiting, including glass bottom boat tours, snorkeling, and of course diving. There’s actually an underwater sculpture park in the Caribbean and a visit there is one of the top things to do in Grenada. Just a few years ago, an amazing discovery was made under the city of Puebla – a system of tunnels believed to be around 500 years old. The tunnels had long been an urban legend in the city, and were only discovered in 2016. They are now a museum called called the Secrets of Puebla that you can tour with an archaeologist. The long tunnel begins in the historic centre of Puebla and leads out to the Fort Loreto. It was here that the Battle of Puebla against the French took place on May 5, 1862. Guns, bullets, and gunpowder were all found here, suggesting that the tunnels played an important role in the battle that is commemorated here on the Cinco de Mayo holiday. Every winter, hundreds of millions of monarch butterflies head south of the border to Michoacán and the State of Mexico. The Monarch Butterfly Biosphere Reserve is a massive protected area that welcomes in the monarchs annually. The journey the monarch butterflies take each year is astounding. The 8-month migration takes them all the way up to Canada and back, during which time four generations of the butterflies are born and die. It remains a mystery how they still somehow manage to return to the same spot. There are a few areas in the reserve that are open to the public. It’s pretty amazing seeing the branches of the trees bend under the weight of the butterflies, which blanket the area in a sea of orange. The butterflies arrive in November and stay until March, but the best time to visit is in January or February when the population is its largest. One of the most fun things to do when visiting Mexico City is taking a river cruise in Xochimilco. It takes around an hour to reach the river, where colourful gondola-like boats await. The atmosphere is very festive here, with floating food and drink vendors as well as mariachi bands for hire. It’s absolutely packed on the weekends with city dwellers looking to let loose. Hop on a boat, order up a michelada and a couple tacos dorados, and enjoy a fun-filled afternoon on the river. Enjoy all of the amazing things to do in Mexico! There you have it, amigos! 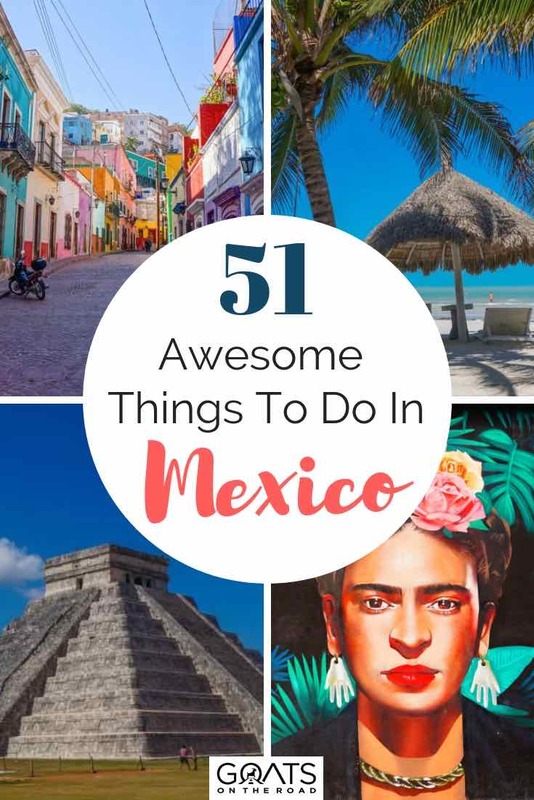 That list should give you enough things to do in Mexico to span several visits. When it comes to awesome things to do, Mexico really is the gift that keeps on giving. It’s truly an amazing country with so much to offer. You may end up loving it so much that you decide to move there. 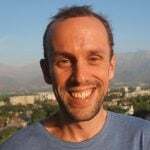 Take it from me – I know from experience, having moved here over a year ago. I’ve only done about half of the things on this list, so you can rest assured I’ll be here a while longer until I cross them all off. Drop me a line if you head this way. The first taco is on me! Awesome article! Loved the content and now I want to return to Mexico!